I love Macaroni grill. They let you vandalize the tables and actually give you the tools to do it with. 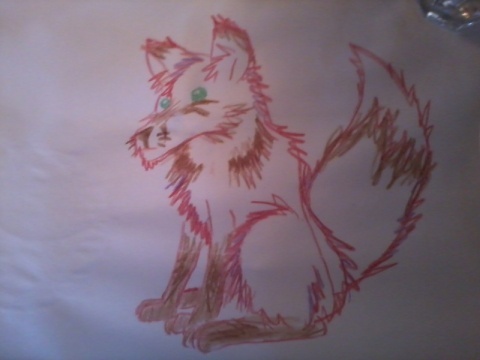 Anyway, just a boring lil fox, medium is crayon and table... paper... thing.